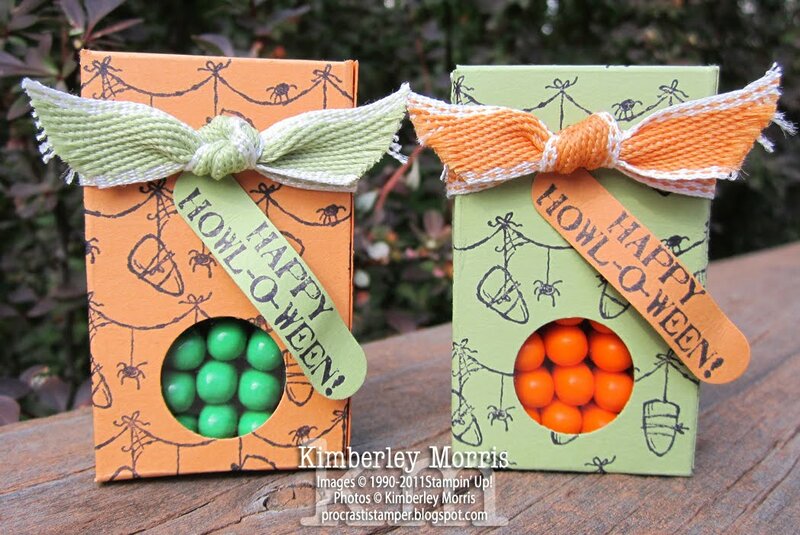 Just a quick post to share a little Halloween treat project. 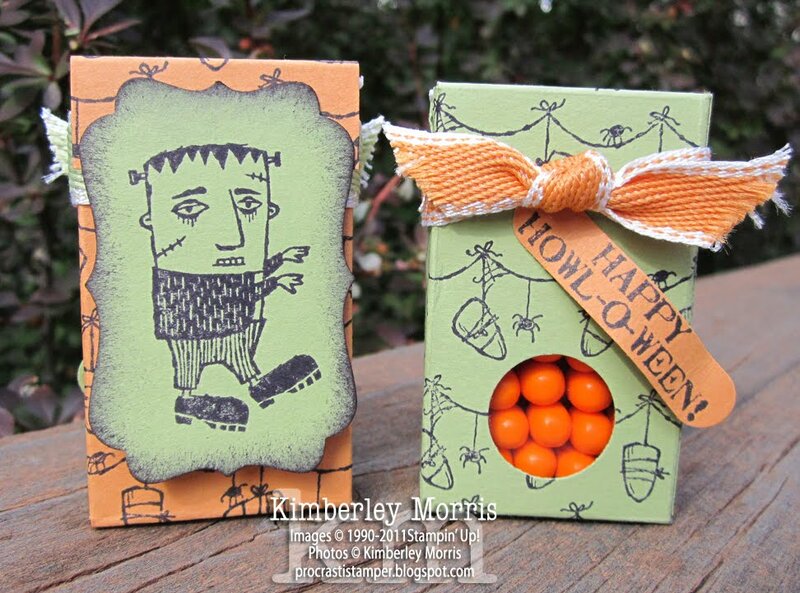 These are Tic Tac containers in little boxes, decorated with the Howl-o-ween Creeps stamp set. I limited myself just to the images in the stamp set. The top has to open up so the recipient can open the Tic Tac container, so the Frankenstein and Witch images are adhered to the flap, then they secure the box closed with a little Velcro dot underneath. The ribbon, greeting, and the peekaboo hole in the back are all just little extras...you could easily leave those off to create these in bulk, but they wouldn't be as cute! The pictures are all the same two treat boxes, just different views of the back and front of each. I used the orange flavor and the spearmint flavor Tic Tacs inside, because they are probably the easiest to find. 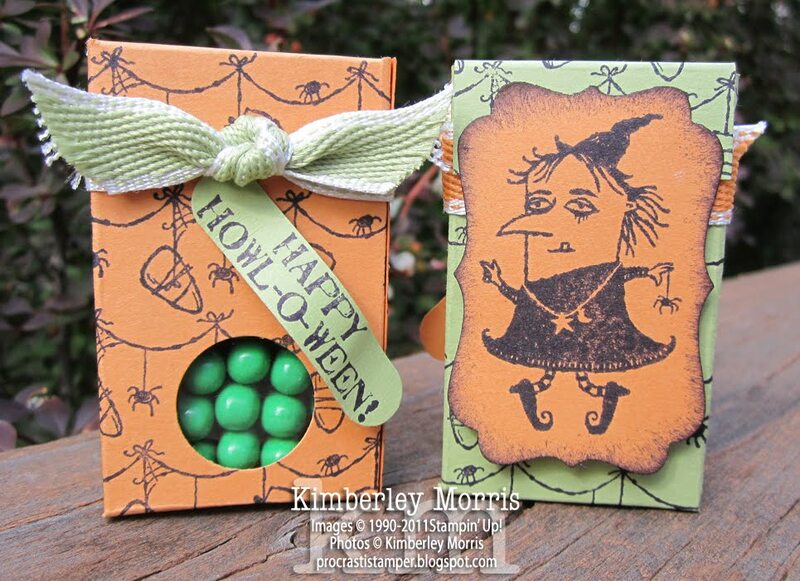 There are some wintergreen ones that are a little lighter green, which would also work great. Please see the link below for the pattern, and see this related post for more tips and suggestions. For example, I removed the date stamp from the Tic Tac container with StazOn Cleaner so the markings would not show through the peekaboo hole. 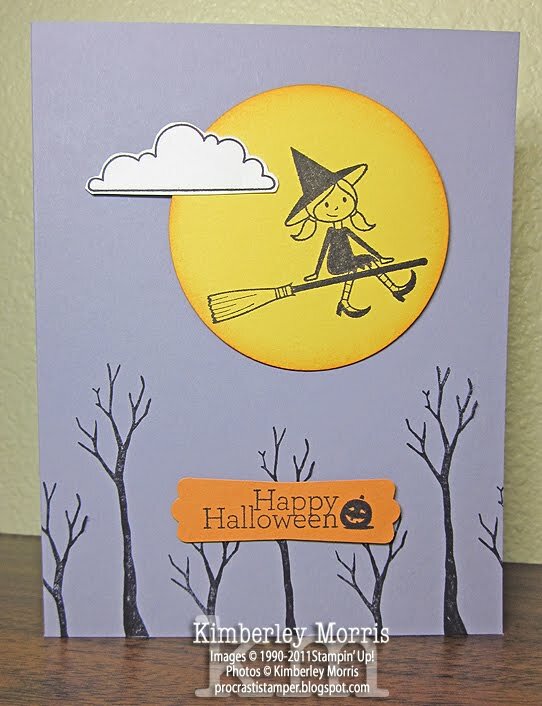 Stampin' Supplies: Howl-o-ween Creeps stamp set, Basic Black ink pad, Sponge, Pear Pizzazz and Peach Parfait card stock, Pear Pizzazz and Peach Parfait stitched poly ribbon (at least 9" ribbon per box), 1/2" Circle Punch, 3/4" Circle Punch (peekaboo window), Word Window Punch, Decorative Label Punch, Sticky Strip, Mini Glue Dots, Simply Scored Board, Paper Snips & Trimmer. CLICK IMAGE TO BECOME A DEMONSTRATOR NOW! GET A FREE BIG SHOT!!! 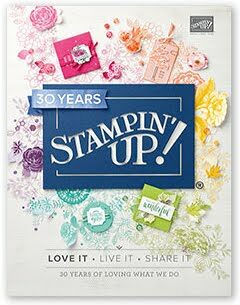 Or, get $100 in Stampin' Up! 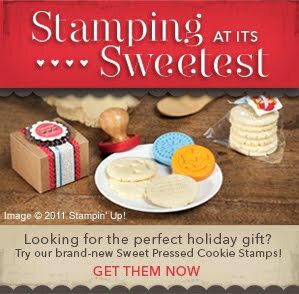 product of your choice, when you join Stampin' Up! during October 2011. 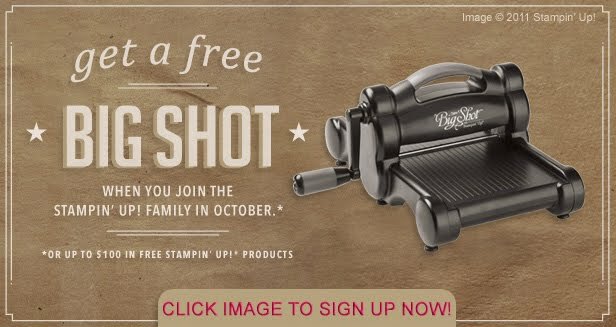 CLICK HERE TO GET YOUR FREE BIG SHOT NOW! Perfect timing--use your Big Shot (or new supplies) to make cards, treats, and gifts over the holidays, and be sure to let all your friends and family know you have joined Stampin' Up! It's a great way to develop your customer base, and earn back the investment of your kit. Even if you don't want to "deal with" customers (there is no obligation to sell to anyone), this is a sweet deal for you to get way more bang for your buck. The Starter Kit is $175, and normally the value is just over $345...but with this promotion, the value is almost $450. Fantastic! 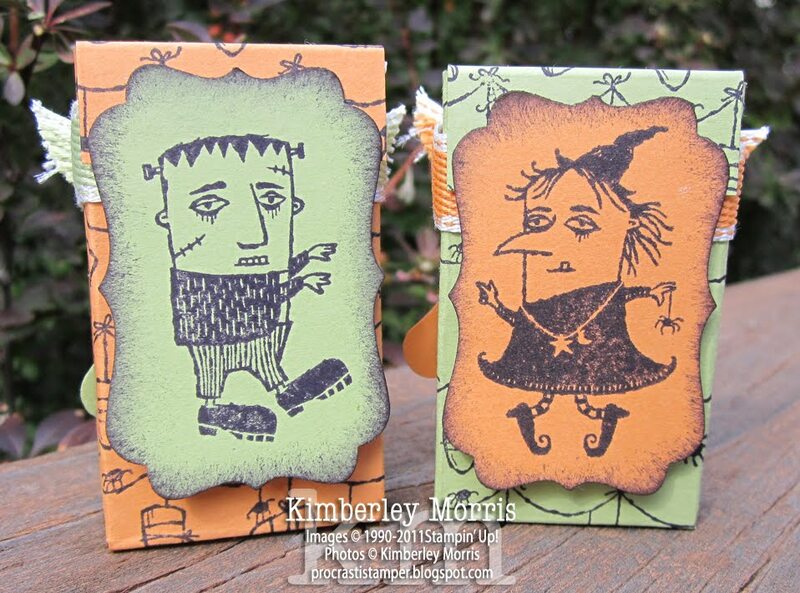 BUY TWO SIMPLY SENT KITS, GET A FREE STAMP! 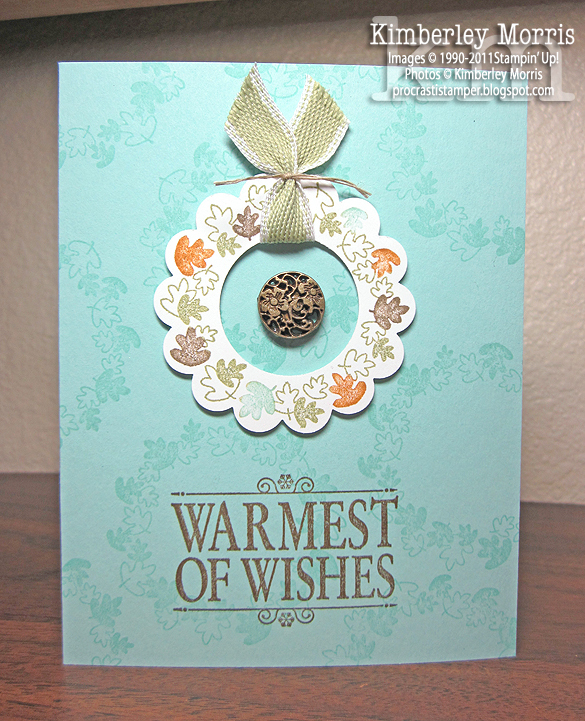 Choose a FREE coordinating stamp set with the purchase of any two Simply Sent card kits. 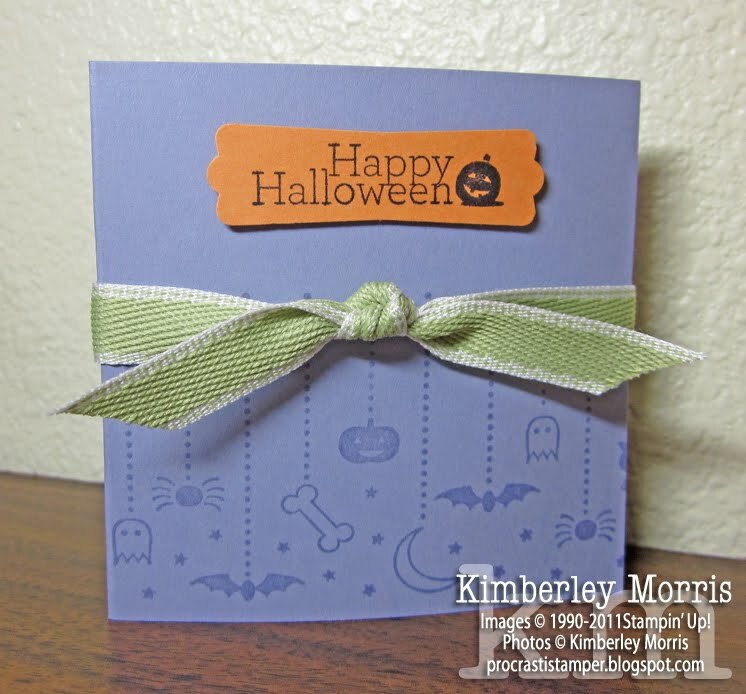 If you are looking for some great pre-cut, pre-scored, and pre-printed cards that you can embellish to give a quick handmade touch, then the Simply Sent card kits are perfect for you. 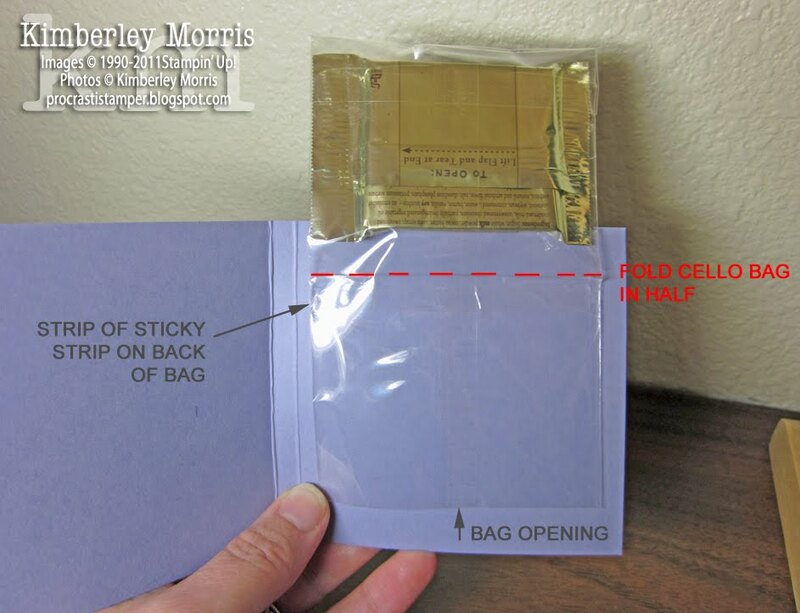 There are several coordinating stamp sets with handy greetings, sized perfectly for these cards. NEW! SWEET PRESS COOKIE STAMPS! A solid wood handle for pressing images into shortbread cookies--three interchangeable, food-safe images are included: a pumpkin, a snowflake, and a heart. Two shortbread recipes are also included. You'll be set with wholesome homemade treats through next spring! 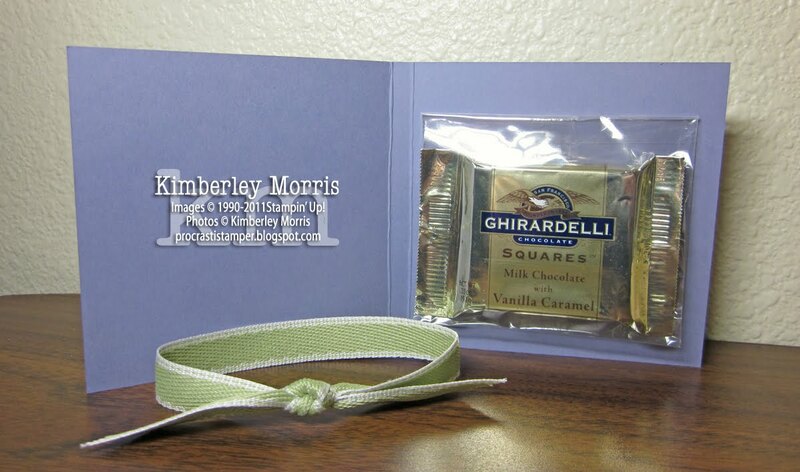 The Kraft Boxes in the Holiday Mini Catalog will hold your cookies perfectly for gift giving, and there are several coordinating products you can use to create quick and cute coordinating tags.